Developed in collaboration with Tokyo based artist collective DANDANS, Transformer is honored to present 2:46 and thereafter - an exhibition highlighting 18 emerging Japanese artists' responses to the March 2011 earthquake & tsunamis that struck the northeast coast of Japan, and the resulting aftermath. 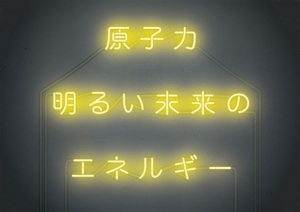 The title of the exhibition, 2:46 and thereafter, marks the time the earthquake hit, referenced throughout Japan in the same vein Americans now reference the date 9/11. featuring a special performance by On Megumi Akiyoshi. This comprehensive exhibition, the first of its kind in the US and one of Transformer's most ambitious exhibitions to date, will feature works in a variety of mediums exploring emerging Japanese artists' creative responses to the terrible catastrophe that killed thousands of people, and how life has changed in Japan as a result. Through installation, painting, video, sculpture, photography, and drawing, the 18 artists featured in 2:46 and thereafter - Takeshi Abe, Chiho Akama, Yasushi Ebihara, Yuya Fujita, Masaharu Futoyu, Kotaro Isobe, Mami Kosemura, Shinji Maeda, Kazumasa Noguchi, Mitsuki Noguchi, Tetsuya Noguchi, Mihoko Ogaki, Akiko Ozasa, Masaharu Sato, Shinichi Tsuchiya, Takayoshi Tsuchiya, Ryota Unno and Keiki Yamada - address issues that many of the people of Japan, primarily the young people, are exploring as they adjust to life following destruction, loss, and still to be determined affects from Japan's most powerful earthquake since records began.